My beyond the classroom experience took place during the fall semester of 2017. I traveled to the University of Dundee in Dundee, Scotland. The area is characterized by luscious green forests, rough mountainous landscapes and beautiful ocean views. Dundee is an hour north from the capital, Edinburgh, and only twenty minutes from the prestigious campus, the University of St. Andrews. The region is a special place in Scotland, holding its own unique accent (the Dundonian accent), which is among the hardest for Americans to interpret. Though the accents are tough to understand sometimes, the people of Scotland are among the kindest and most caring in the world. At my host university I took a variety of classes connecting to my major and GLI global theme. My major is Physical Geography with a minor in computer science and certificate in Geographical information systems (GIS) and the global theme I am apart of is Technology and Society. The global theme I chose focuses on the how organizations harness technology and data and acknowledges how important technology is as a tool to inform and teach people new ideas across the world. This theme relates to my beyond the classroom experience because while abroad I took classes that required research and data modeling to explain societal differences in health, behavior and economic inequalities. The professional and academic skills I acquired during my experience included many field surveys and expeditions to grow my skills in obtaining data. I also secured my knowledge in modeling and presenting data to others. On many occasions my experience required that I become a leader, my course mates and I often worked in teams to gather and present data, so it required someone to step up and take the lead. 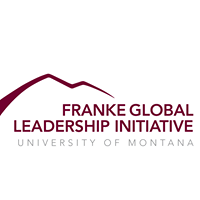 Becoming a leader was a new concept for me but was formed and structured due to the GLI Leadership retreat I attended before I left for my beyond the classroom experience. This experience pushed me out of my comfort zone and helped me grow professionally and academically. The curriculum was much different than in the United States so gaining an outside perspective on the way other cultures learn was incredibly enriching. Among the most enriching experiences I had was taking a field trip to the Scottish Highlands to obtain geomorphological data on a former glaciated landscape. There we gathered data from the landscape to build a map representing how the glacier might have looked 11,000 years ago. Through adventures like that field trip and spontaneous adventures in Scotland, this experience provided me with amazing adventures and lifelong friends. I will hold on to the memories forever. If you or anyone you know is ever thinking about visiting Scotland, do it. It will be the best decision you’ve ever made. Studying abroad is the epitome of independence. The confidence and knowledge gained from living abroad in a multifaceted culture is an invaluable experience that has made me a better, more fearless, college student. Buenos Aires, the city I selected for my GLI experience, is a diverse and intense city, and I gained just as much knowledge outside the classroom as I did behind a desk. Inside the classroom, I gained knowledge of social inequality and human rights conditions throughout Latin America through classes of international and regional politics. Discussing the current state of American politics to Argentinian students sparked debate and passionate discussions, which helped me to understand a variety of Latin American perspectives regarding social issues throughout the Americas. Outside the classroom, I met people from across Latin America who had left their respective countries due to poor economic conditions or political instability. Protests advocating for the rights of indigenous communities, as well as demonstrations against Argentina’s military dictatorship, which ended 40 years ago, were commonplace in a city whose citizens are passionate for social change. My host mother survived the dictatorship and told me stories of the state of fear and oppression she lived when she was a teenager. The variety of interactions and stories I experienced put my GLI theme of social inequality and human rights into context. Integration into the rapid dynamics and vibrant culture of Buenos Aires challenged me to live in a way I had never known before. Five months in Buenos Aires changed my entire lifestyle and leadership skills simply by making me a more confident person. I didn’t learn only from professors, students, locals and foreign residents. I taught myself how to be adaptable while living abroad, and that is a skill I will depend on for the rest of my life. I spent the fall of 2017 traveling over 1,500 miles throughout central Montana in a van, in a kayak, or on my own two feet with The Wild Rockies Field Institute (WRFI). Central Montana is an ecologically and culturally distinct landscape. I wanted to experience diverse environments and the people intimately connected with them. I hoped to gain a more personalized and less academic perspective on our current global ecological crisis in a localized fashion. I was constantly challenged by my instructors, peers, guest speakers, and our reading material. Everything I expected from WRFI was exceeded. I felt ultra comfortable in the woods, on wild rivers, and in the prairie, even spending a full 24 hours completely alone in the back- country. Two months of living in a tent together, and a group of 10 strangers quickly becomes your family. Daily classes on mountain tops and along rivers allowed me to engage deeply with material and my peers. I had the chance to think critically about why I had the point of view I did. Something so simple, but important for anyone. One specific issue challenged myself and the group more than any other. We were discussing the pros and cons of a proposed mine outside of White Sulphur Springs, Montana. On one hand this mine threatens one of the most iconic rivers in Montana, the Smith River. On the other hand, it would bring jobs to one of the poorest counties in the country and is heralded as one of the most advanced mines of its kind. We met with both mine supporters and opponents. We visited the site of the mine and the Smith River. We felt the need in the community for this project, the hope it brought, but we also felt the beauty and magnificence of the Smith River and its surrounding ecosystem. At the end of the day, we were conflicted, despite being well-informed. But that is the crux of complicated issues, its more than the facts, our values also play in integral role in our decisions about how we think the world should look. At the end of WRFI I found myself thinking that all environmental issues aren’t simply about landscapes and ecosystems, but the human layer that is inevitably nested within them as well. There are no black and white issues, good and bad guys. There are humans trying to provide the best lives for themselves, their families, and hopefully the earth. In High School, I studied abroad in Peru for a month of the summer of 2012. The experience was breathtaking. I learned more Spanish in a single month than I ever could have in the classroom, my understanding of other cultures and the U.S. expanded and I found greater confidence in myself. I joined GLI three years ago because I wanted to study abroad again. The essence of a study abroad experience is in its challenge to understand another culture and foreign environment and so I couldn’t imagine discovering that kind of experience here in the United States, let alone Missoula. And yet, I chose to fulfill my Out of Classroom experience right here in Missoula and feel that I have learned more about the world and myself than expected. I am working with Congolese refugees relocated here last September, helping them direct their own short films under the New Neighbors Project. This month two of those refugee directed films and the feature-length documentary of the project as a whole premieres (check the New Neighbors Project Facebook page or website, newneighborsmedia.org, for details) at the Big Sky Documentary Film Festival! The experience has pushed me to grow emotionally and professionally. Working within the nuances of a different cultural mindset requires an open heart, forgiveness and patience. Working with trauma requires empathy, but clear boundaries. My technical skills have improved and I’ve gained confidence in my abilities after working with a team of established filmmakers. I feel equipped to address my global theme, Social Inequality and Human Rights, beyond the scope of the New Neighbors Project. My challenge against Social Inequality and Human Rights is to think globally and act locally. I can see the positive impact this project is having on the refugee crisis and I see positive changes for the Missoula community. I met once a week with one of the directors to talk film and help with the camera, but I also helped him develop his English, practice driving (he passed the driver’s ed test on the first try!) and explore the city and community of Missoula. In this exchange I’ve acquired the tangible skills of some Swahili and French conversation and the recipes for ugali and sweet breads. Most importantly I’ve learned how to navigate the tricky ground of mistranslated conversations, informed consent and transparency in how to admit failure and celebrate success. I want to encourage other students to complete their Out of the Classroom experience here in Missoula. The refugees need a lot of help and resources, but the call to action has seen an increase in programs and projects (like New Neighbors) that is strengthening our community and pushing us all to grow as a support network. This project has a huge production team and works closely with multiple organizations in Missoula to provide a well-rounded support network to the refugees. I am confident that there is just as much effort put towards other global issues like Climate Change and poverty at the local level here. After all, there are more than 1,200 registered local non-profits in Missoula. The director I work most closely with told me the other day that “Missoula is my home now”. I cannot express how strongly his words affect me. I am proud of Missoula and feel strength in this community to tackle global issues, one day at a time. August had been spent charging over 18000 foot mountains, trying to surf off the coast of an ancient Peruivan fishing village, and understanding climate change in the physical and dangerous context of melting glaciers. I “relaxed” at home in Sacramento with four days of hiking, family, and re-packing before crossing the Atlantic for an extended stay on the Emerald Isle. When I hugged my dad at the airport I expected to cry; to feel shaken; to be apprehensive. I instead felt very tired but very ready for the challenge that lay before me. Peru was vacation; Ireland was meant to be life in another country. Arriving late in Dublin, and taking a bus for three hours into Cork, my first hours in Ireland were dark and characteristically, rainy. I woke up the next morning and moved into my apartment. Small and modern with two roommates from France and one from Chicago I felt comfortable and excited to have my own space. We were across from the train station on the north side of town and roughly a thirty minutes walk from University College Cork (UCC). Walking became my main form of transportation. I explored the city’s many side streets and alleyways on foot. I quickly learned to fear for my life in the presence of Cork drivers given their unspoken vendetta against pedestrians. Home in Montana I actively enjoy rock climbing and ultimate frisbee and it was important to me that I continued these sports abroad. I engaged with the UCC Mountaineering (hiking/climbing) Club and played for UCC Ultimate, using both groups as opportunities to make friends and travel the country. UCC mountaineering hiked all across the southern half of the island and UCC Ultimate made visits to several of the country’s largest cities, competing against every team in the nation at one tournament in the city of Galway. Sport and experience are universal mediums to communicate through and I quickly forged relationships I plan to maintain and grow in to the future despite the miles between us now. Understanding the universality of our activity translated to our universality as people and for me at least, made the process of making friends much easier. The label of being American was joked about often in the best humor and I came to view it objectively; rather than overly present American stereotypes I used them to learn how to fit in, assimilate, become one of the lads. I proudly wore the UCC kit in our tournaments and tried to love the Irish landscape as much as I did my native Sierra Nevada and surrogate Bitterroots. Full of steep hills, heather, hollows, and plenty of sheep; my mountain experiences in Ireland were the arguably the most important part of my time in Ireland with respect to understanding the history and depth of Irish culture. While influenced by the same modern music and similar pop culture as Americans, the under lying nature of the Irish comes from their diverse origins and sense of place. I learned that being Irish is trickier than it might seem as many of the first communities in Ireland were Norse populations which had migrated to the island seeking easier living. These mixed with native clans and a continued stream of people from Normandy and Wales to create a diverse and prosperous population on the island. The Irish countryside is a highly fought over landscape. The county of Tipperary, just north of Cork, saw many wars for regional power, religious independence, and national sovereignty. The Irish have fought to be where they are today and are proud of their heritage, both nationally and on a county level. Just as the US has regional accents and stereotypes, so does Ireland; despite it being one – eighth the size of Montana. My global theme and challenge is Natural Resources and Sustainability and I focused this while abroad by taking courses in conservation biology and wetland ecology at UCC. I hoped to gain a sense for European views on ecosystem management and what values lay where with regard to natural resources in Europe. Much of what occurs in the European Union is guided by EU Environmental Management Directives which work multiple parts in assessing, monitoring, restoring, and maintaining the quality of soils, water, and biodiversity. Whether these are actually followed is open to interpretation and the extent to which the objectives are actually applied. Environmental issues increasingly address a social paradigm which can often place agricultural practices at odds with standards for environmental quality. The extreme length of time which farmers have been practicing their trade in Ireland contributes to their continuation of grazing practices, but may soon have to adapt to a changing climate which is affecting even Ireland’s ceaseless rains. Unlike most of the exchange students I met at UCC, I stayed for the holidays! I was very lucky to spend the holidays in Tipperary Town, Tipperary, Ireland and was welcomed to a warm household with plenty of Guinness and classic Irish scenery. The nearby mountains range was known as the Galtyees and during my stay, my friend Alan and I crossed the range’s ridge during a white out. Indeed, Ireland does receive a fair bit of snow! Summit of Galtymore – Ireland or Montana? I was lucky enough to have some friends from the University of Montana abroad in Ireland and France while I was in Cork. Together we traveled in Ireland and celebrated Thanksgiving, making home feel a little closer. We visited Belfast and learned about the city’s great industrial, maritime history and the Troubles; religious conflict which still steams in parts of the country. The opportunity to travel and live in Ireland was the most important experience I have had while attending the University of Montana. It made me aware of myself in a new light and allowed my to refocus my personal and academic growth. Many people describe their time abroad as a constant whirlwind and they leave feeling traveled and worldly; but for me the moments of reflection did not come in crashing waves and grand ah-ha moments. They came in the quiet spaces of daily life which occur when you have the time to live in and understand a place so wholesomely you know the local rhythms by feel. When the everyday feels like an adventure you are living right. As they say in Cork, thanks a million! Last fall I had the opportunity to study abroad at Massey University, just outside Auckland, New Zealand–land of the Kiwis. When I first got to New Zealand I was overwhelmed. I had a huge 70lb bag, a 70L backpack, a small roller bag, and another personal size backpack. And little 135lb me was trying to take all of this through customs without the use of a “trolley” because when the kind woman who worked at the airport asked me if I wanted a “trolley” I was like no what the heck is a “trolley.” I definitely don’t need one of those… But guess what a trolley was. Yep, that’s right, a luggage cart. It probably would have helped considering how much I was trying to carry, and especially since right after I turned down the trolley offer my 70lb bag toppled over right in front of me, and the extra momentum I had from my pack caused me to nearly trip right over it. After collecting my tent and hiking boots that had to be inspected by Biosecurity, I wandered to what looked like an information desk and asked the embarrassing question, “so how do I get a taxi to the hotel I’m staying at tonight?” I got a confused stare from the woman at the counter, who replied,”Just walk outside and ask for a taxi.” Yeah, apparently it was that simple. So I walk out of the airport and see row after row of taxis that stretch beyond the eye could see…”how do I choose?” I think to myself. So I ask one of the millions of taxi drivers before me for a ride, and they respond in quick foreign tongue that I should really just take the bus because it’s much cheaper. Okay, that was really of them to suggest that and not take my money. But now the question is ‘what bus do I get on and how do I pay for it,’ because at this point I have no New Zealand cash on me. So I walk to a ticket dispenser machine and see that it requires coins to purchase a ticket. I have no coins. Back to the taxis I go. Taxi driver says no, no, no, take the bus. I say AH but I can’t for the life of me get a ticket! Lost, confused, stressed me continues to try and acquire a bus ticket. Then the bus driver gets off of her bus and angrily shoves coins in the slot to produce, huzzah, a ticket! I proceed to get on the bus with all my luggage, but no one assists me with lifting my 70lb purple monster of a bag on to the luggage rack. But I was like, nah, its fine I’ll just hold onto it, my hotel is only 2 blocks away. Well, what I was not prepared for was the most insane bus ride of my life complete with about 10 roundabouts entered at what I’m sure was this bus’s maximum speed. So I’m standing in the middle of the bus, it’s just me and this other kid with an afro who is also studying abroad, and I’m trying to have a nice conversation with him because apparently we’re both staying at the same hotel. But the bus is taking sharp turns and spins around the roundabouts and I’m holding on to those yellow hanging straps buses have for my dear life. And my purple monster of a bag is rolling every-which-way as the bus takes sharp turns—and its smashing into me and dragging me all across the bus. And my heavy 70L backpack displaced my center of gravity and every time the bus swayed, I nearly toppled over trying to keep my balance while wrestling with the great purple monster. In the midst of this chaos, I’m still trying to act as natural as possible and have a conversation with this guy. It was a disaster. My face was flushed, my pits were sweaty, and I swear I was on the verge of tears, but I fought it off and kept a smile on my face while I tried to continue the friendly small talk. But by the end of it, afro kid was just laughing at me, and I had made a complete fool of myself. I did, however, manage to make it to my hotel with all of my luggage. I swung open the door to my room, aggressively shoved those bags inside, and threw myself onto the bed. Tomorrow would be a better day, and holy heck at least I was finally in New Zealand! Despite the rough start, I had the most incredible time during my 6-month study abroad. I loved my ecology courses, I made the most amazing friends, and I got to travel what is arguably the most beautiful country in the world with them. I learned so much about New Zealand’s sustainability efforts policies, and had the opportunity to meet with the Director of Sustainability at Massey, John Shimwell, who has maintained contact with me and is helping my GLI cohort and I implement our capstone project on Massey’s campus. Meeting him and seeing how excited he was about working with our program was wonderful, and we ended up having a wholesome discussion about sustainability efforts in New Zealand and how they compare with those utilized in various parts of the US. Moments like this one, as well as the continued contact we have had moving forward with my GLI project, make me so grateful for my abroad experience. Additionally, on a more personal side, my ecology courses allowed me to see first-hand the incredible appreciation Kiwis have for their environment in general. The many field labs and trips provided me the opportunity to both learn the intricacies of conservation and management concerns in New Zealand, and throughout my travels I saw how their Department of Conservation worked to maintain Natural Parks and promote increased awareness and preservation of their beautiful ecosystems within the ‘tramping’ (hiking) community. My kiwi friends were so loving and welcoming and wanted us to have an incredible experience. They introduced me to tea time, late nights on the town, wharf jumping into the ocean in the dead of night with stars lighting up the night sky. I will always remember the first time my Kiwi friends taught me how to “properly” swim in the ocean. The rush of putting my hands together and diving under a white-crested wave that towered 4-5 feet above my head. The feeling of plunging under the surface of the water while the waves crashed over my back and rolled off the tips of my toes—it sent a thrilling, tingling sensation throughout my whole body and I couldn’t get enough of it. That’s probably one of the things I miss the most. Salty hair, itchy eyes—who cares about those when you’re in the most beautiful body of water being pulled and pushed and pummeled by raw powerful waves. For the most part I traveled the country with my American friends because they had the same drive and passion to do so. Throughout my time there, we ended up buying two different beat-up cars (because the first one broke down on us! ), and had the time of our lives road-tripping throughout the island nation. Cape Reinga, Tane Mahuta, Kai Iwi lakes, Raglan, Bay of Islands, Pakiri–all of these were just words on a map, but we turned them into places filled with unique and special memories that brought us all closer than I could ever have imagined. I will always feel like my words inadequately express how incredible my time in New Zealand was because of them. New Zealand is just a place in the world. Beautiful, yes, but in the words of Alexander Supertramp “happiness is only real when shared.” When I think about my time in New Zealand, I’m typically brought back to these memories of driving through winding country roads. The windows are rolled down, Kesha’s blowing her lungs out hitting that high note in “Praying.” There are cows and sheep to either of us standing among the rolling hills of green pasture, staring at us as we drive while they chew in a sideways motion. If I’m not the one driving, I’m sitting in the back with my feet up on the console looking out the window. We didn’t talk to each other much on these long drives, but we did listen to music. At first I thought it was kind of strange, but now whenever I listen to the playlist of songs we rocked out to in Ricky Baker (our trusty 1998 Honda CRV), I’m temporarily brought back to the rolling green pastures, fiery sunsets, dramatic ocean cliff sides merging with turquoise waters, crashing waves and sea spray. There was so much laughter, so many tears, and a complete feeling of joy and peace life that filled the tiny box of a car that we lived in part-time during our adventure. My kiwi friends always said we were doing way more than they had their entire lives in New Zealand. And I was shocked, but at the same time if you don’t know any different it’s harder to appreciate what you have. That’s one great thing I think that came out of my Kiwi friendships. They gained more appreciation for the beautiful place they live, and I think we inspired many of them to join us or make plans to explore more places in the future. Once you see how much people value and appreciate what you consider your home, it definitely gives you more of an appreciation for your home as well. In the end, I couldn’t me more thankful to have had this incredible abroad experience–for the opportunity to travel and see such a remarkable country, for the people that made my time there all that it could have been, and for the new knowledge and international perspective I gained both in and out of the classroom. Breakfast time feat. Beautiful Bertha may she rest in peace.